Cloud computing is the undisputed future of IT. Its capabilities are already being applied to nearly every industry, and CNSI is right there making it happen (see our cloud-based Medicaid processing platform in Michigan). But, we recognize that it can be difficult to keep up with the technology terminology. So if you have found yourself nodding along during a conversation about cloud computing, or even dropping the term without the slightest idea of what it really means, you’re in luck – this blog is for you. Simply put, cloud computing is the act of using data or programs that are stored on a remote server, all through the internet. Until relatively recently, the only way to utilize software was to install it on a computer’s hard drive. When the software was used to create content (say, the very document containing this blog post) it was saved to the same hard drive. This is all well and good – it is straightforward and requires no internet connection – but also presents considerable disadvantages. Our personal computers are vulnerable. Whether the culprit is a rogue foreign hacker or just a clumsy coffee spill, computers are easily destroyed or compromised, and when the hard drive goes, so does precious content. The next major disadvantage is software. As we mention above, to create you need programs. These programs must be installed, updated, troubleshot and occasionally cursed at (we’re looking at you, Excel). 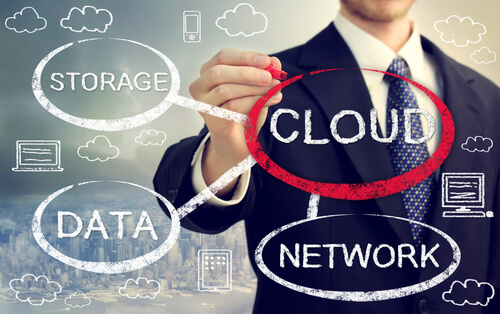 The beauty of cloud computing is that it takes these items and stores them remotely on a server contained in a climate controlled building and monitored by IT professionals. Files are safe and secure, and programs are updated and improved automatically, making the user experience much more efficient. That’s the 101 class. Here at CNSI we are advancing this idea every day, applying it to enormous IT infrastructures projects Medicaid processing. And we’re not alone in that endeavor. The International Data Corporation predicts the number of cloud-based solutions will triple in the next three to five years. If you’re ready to join the advanced conversation, come find us on Twitter (@CNSICorp) with your questions and comments.